Mix and match ribbon colors, foil colors and font styles to design a look created exclusively for your event. 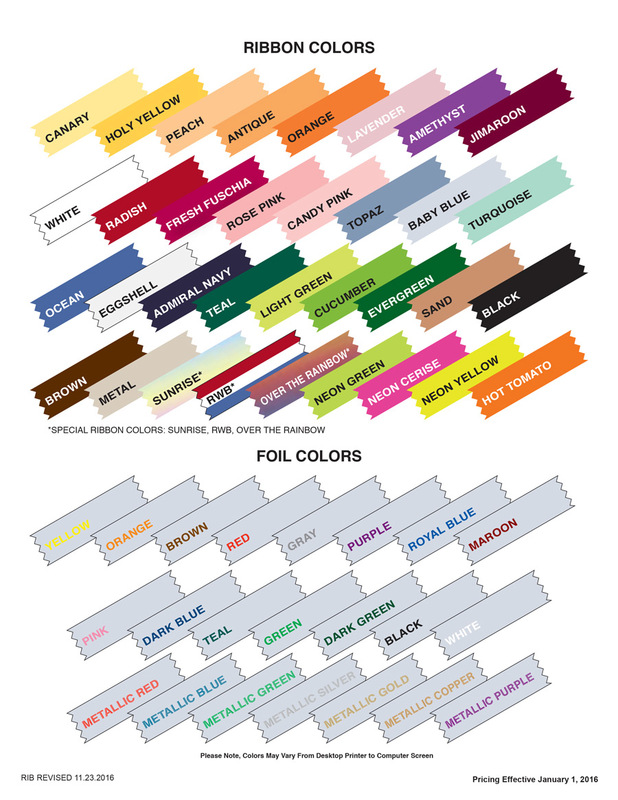 View our Custom Ribbon Pricing Guide for a full list of all available ribbon and foil colors. 100% biodegradable, domestically manufactured, environmentally sustainable and compliant with APEX/ASTM Standards, our ribbons are made from sustainable wood cellulose fiber material and can be created in different sizes with your text or logo. Please contact our Customer Care representatives at 877-552-2343 to order the perfect custom ribbons for your event.